The Baetolau Farmers Association is a rural based registered not-for-profit organization established to link with the Kastom Gaden Organization, Government, donors and NGO’s to the people of North Malaita. The aim is to foster sustainable living in accordance with its aims and objectives. The name of the association is made up of the principle languages in the North Malaita region – Baelelea, Toambaita and Lau. The Baetolau Farmers Association’s aim is to develop and secure better sustainable living standards for its members. To provide professional, training and financial support to members in accordance with the aims of the association. To pass, publish and distribute any newsletter, periodical, book or leaflets that the association may think desirable. Acquire and manage funding from any source that it sees fit to further the aims and objectives of the association. 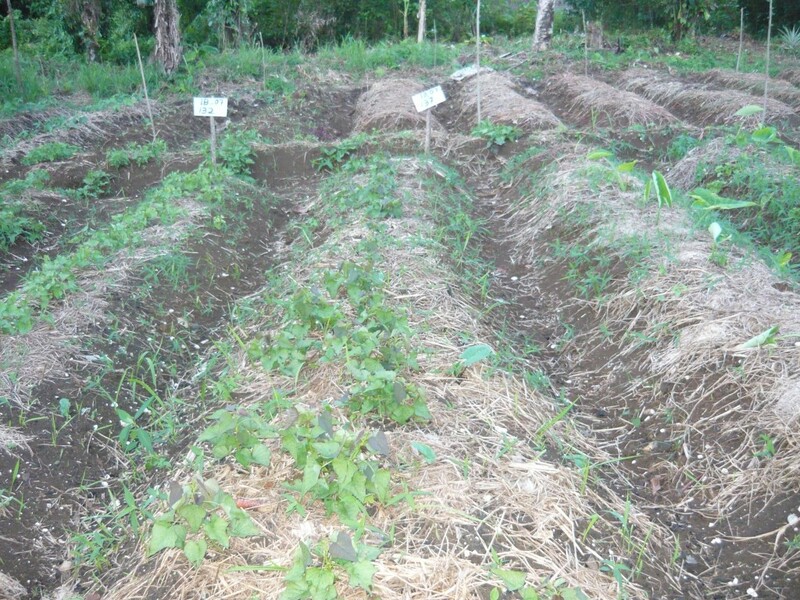 The Baetolau Farmers Association (BFA) grew out of the need for Kastom Garden Association (KGA) to more efficiently administer training programs and resources to the North Malaita Region given the constraints of communications, transport and infrastructure and to enable the people of the area to have more of a say and take responsibility on how programs are devised, administered and accounted for. KGA was the instigator of the initiative and fully supports the BFA. It could be viewed that BFA is a “baby brother” of KGA. The linkage between KGA and BFA is strengthened by the locally based KGA co-coordinator and resource person having positions on the management committee and the inclusion in the constitution of Part 7 of the objectives of BFA, “To maintain and foster the work of the Kastom Garden Association”. It is envisaged that the lessons learnt in setting up and administering BFA will enable the model to be transplanted to other provinces of the Solomon Islands in future. The North Malaita area has been divided into six working zones based around Silolo, Takwa, Fera Subua, Bitaama, Folotana / Masilana and Suava (see figure 1.) and under the constitution a minimum of one representative from each zone must be on the BFA management committee ensuring fair representation and local involvement. KGA currently has a Co-ordinator and Resource Person in North Malaita based at Takwa . For the BFA to be effective the committee and members need to meet and communicate regularly which poses difficulties at times given the infrastructure and communication constraints. There is however positive steps being taken in this area with mobile telephones recently being connected to Malu’u and reaching as far as Takwa and an upgrading of the road from Auki to Fouia. It is hoped that internet and email services will follow shortly. A strong and well resourced Baetolau farmers Association will provide good delivery of programs and training for KGA and other organizations as well as efficient reporting and on ground monitoring and feedback. 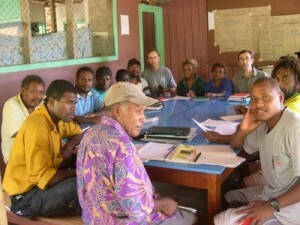 Baetolau Farmers Association meeting at Silolo in North Malaita. Chairman, Laurence Aldo in front-centre.